March…I always seem to feel seedy in March! Hopefully, soon I’ll feel seedlings instead! 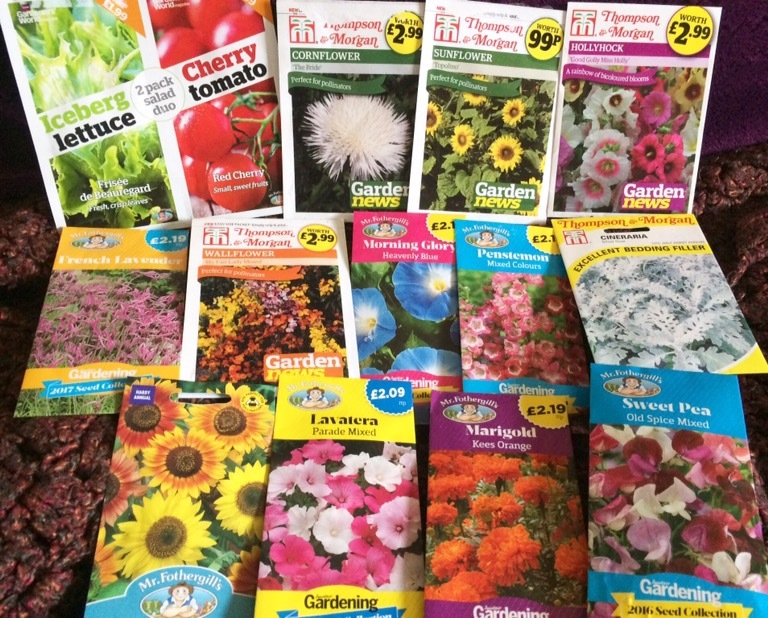 Some of these are for seeding outdoors where you want them to grow. So no cineraria, lettuce, wallflower, cornflower or the big sunflower in the top row. And the one I’m going to try hardest to keep going – French lavender Lavandula stoechas.